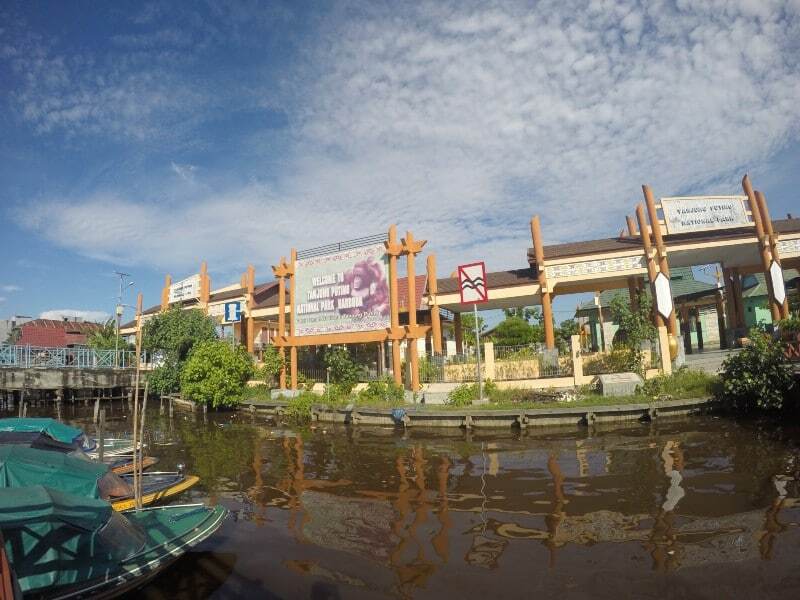 Kumai, a small port in Central Kalimantan, Indonesia has important roles contributed to the province. First, it’s where palm oil distributed. It means that it helps economic growth locally and nationally. 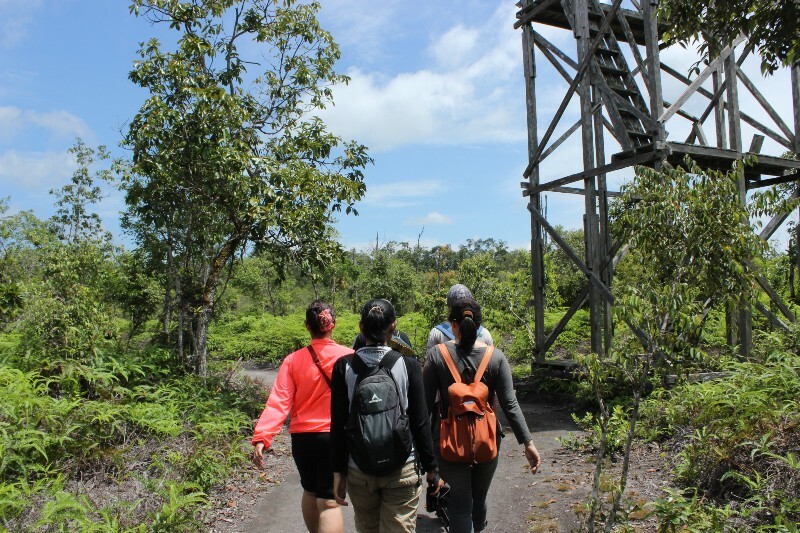 And second, of course, none other than it being the gate to the one of Indonesia’s popular ecotourism destinations Tanjung Puting National Park where we can find Orangutans in their natural habitat. It was raining a bit there when we arrived in Pangkalan Bun. It’s a main city near to Kumai that has an airport to connect to other main cities such as Jakarta, Semarang, and Surabaya. A guy was holding cardboard sign saying ‘BeBorneo Tour’ welcoming us as we exit the arrival gate. His name is Ary a true Kumai guy, who would guide us during our Tanjung Puting trip. He arranged to get taxi for us to Kumai port. It’s weird because the rain fell only in Pangkalan Bun area, and the sky was so bright as we reached Kumai port, thank God. Lots of boat (local people call it Klotok) docked around the port. Klotok is a traditional river boat made of wood that has upper deck where you can view the surrounding. It comes with a galley and a toilet as well. It’s designed to be used to live aboard and river cruising. We got a very nice Klotok, with good ambience. It has two toilets (this is important!). There are two main decks, one is for bedroom and the other one is for dining room with open view. And the boat was clean also. We had lunch before heading to Tanjung Puting. The foods tasted really good, I was actually on recovery after being sick that caused pretty much appetite loss. But I ate everything and I thought it’s been a long time since I ate proper foods. 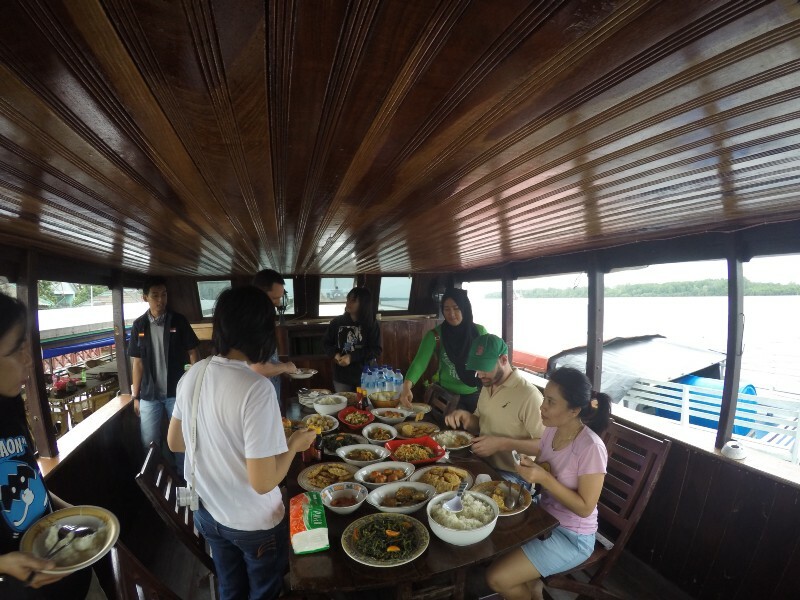 The boat started sailing the Kumai river as we’re eating our lunch. Not too much to see in here, only Klotok and Ship Transport. 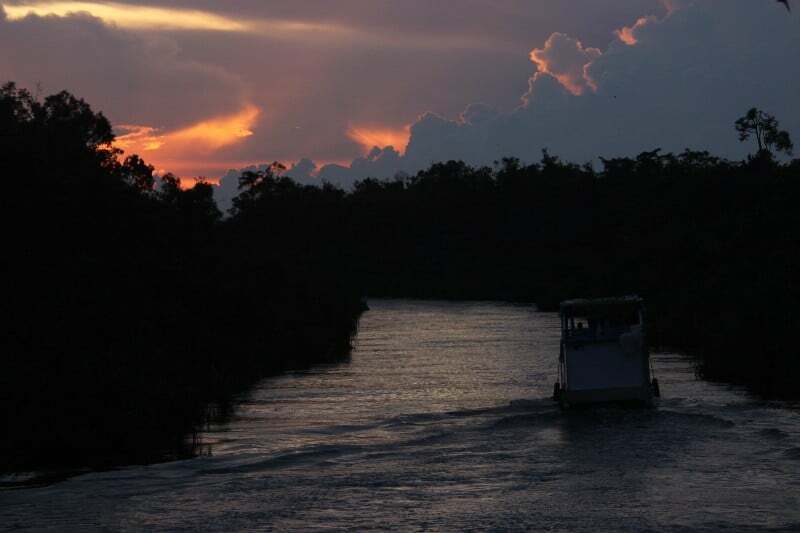 The boat began to enter the narrower path of Kumai river. There’s a big statue of Tom, the most famous Orangutan in Tanjung Puting welcoming us on the riverside, but I didn’t get to take a picture (crap!). The boat was running very slow, when I asked the crew why is it so, they said it’s because of the narrow path and it prevents causing big waves that could affect smaller boats. But it’s okay though, we wouldn’t get motion sickness besides we can relax and enjoy the view peacefully. 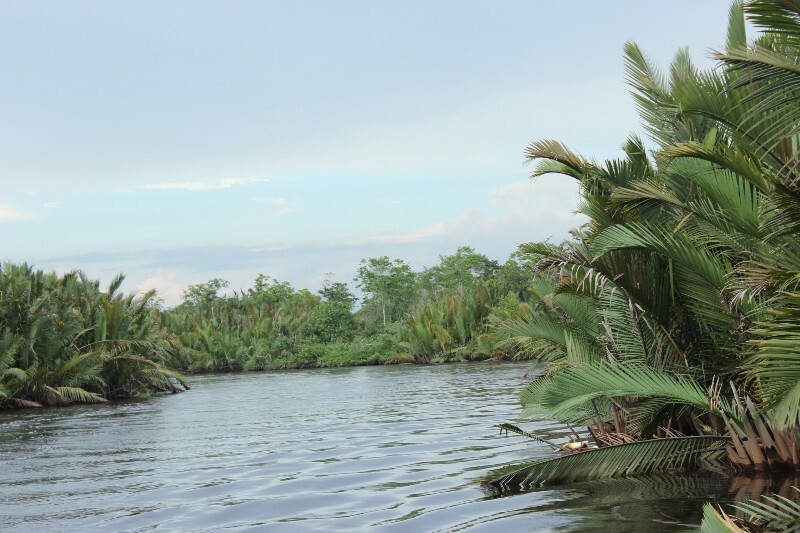 We started entering Sekonyer River, and nipa palms view still accompanied us to our first stop, Tanjung Harapan station. I was so thrilled because I was able to see Orangutans in their natural habitat. Orangutans are intelligent animals, it’s always interesting to see and learn the behavior and life of those creatures. We finally reached Tanjung Harapan station after 2 hours sailing. We did 30 minutes of trekking from the entrance to get to feeding spot. There were pack of Orangutans. Each of them has name, I forget most of them but I remember a few. 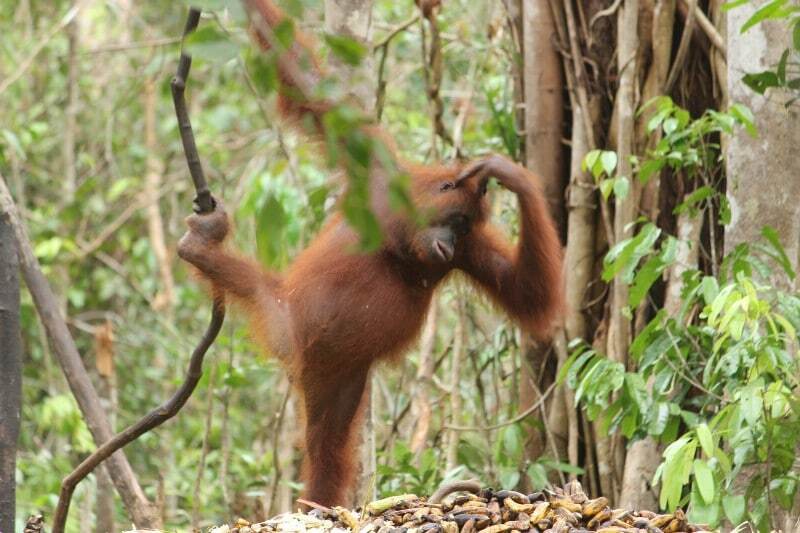 Roger, a shy male which was the first Orangutans I saw in Tanjung Puting. He hid behind trees so it’s difficult for me to take his picture. And I also remember Mandy, a pregnant female. And the male who impregnated her remains unknown. The feeding time in Tanjung Harapan is on 3 pm, they are fed with mostly bananas and sugar canes. Every station has its own dominant male Orangutan. 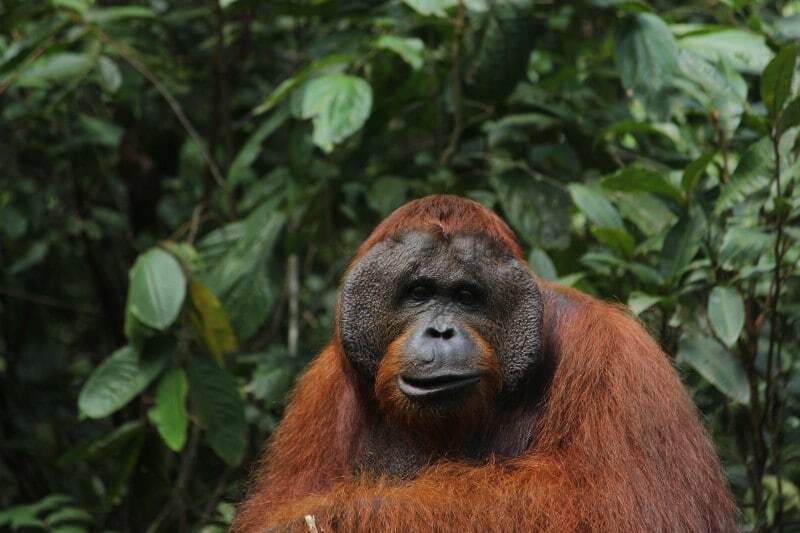 And the dominant male in Tanjung Harapan named Gundul. 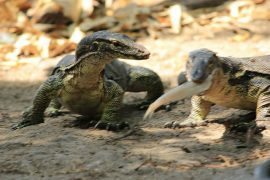 The dominant earned its position by winning a fight between a male. Whoever mature male get in his territory, they either fake they don’t see other or they fight to claim the territory. Their movements are tad slow through the trees, and they use feet like hands. A male grow their facial disk as a sign of maturity and masculinity. 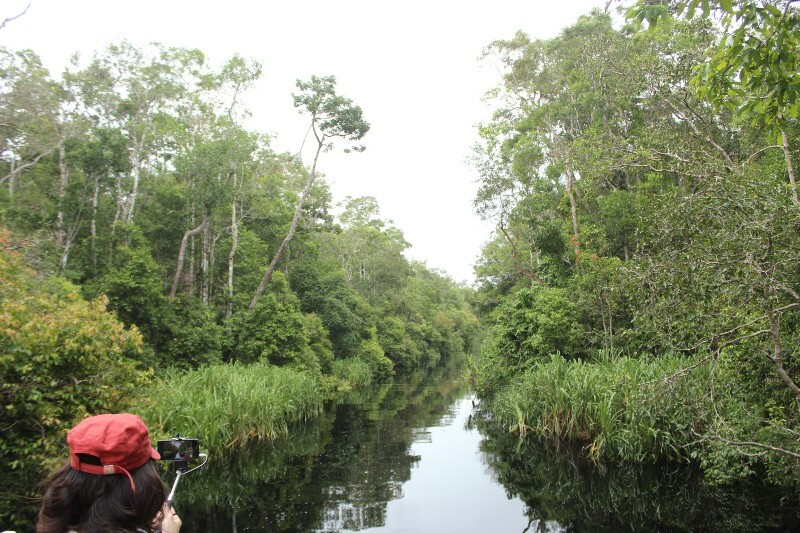 Tanjung Puting is blessed with biodiversity. There are more than 600 species of trees. And there is not only Orangutans live there. 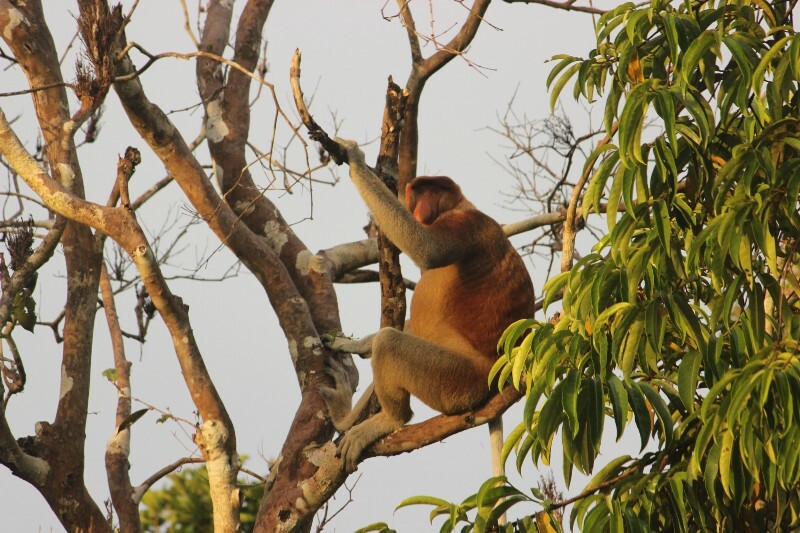 On our way continuing our journey, we met a group of Proboscis Monkey or local people call them Bekantan. Who doesn’t know this creature, if you’re familiar with Dufan (Dunia Fantasi) icon, yes this is the real one. They usually show in the afternoon when it’s their time to go sleeping. With big nose, and big belly they’re swinging in the trees. It’s getting dark and the crew looked for a comfortable spot to dock the Klotok. 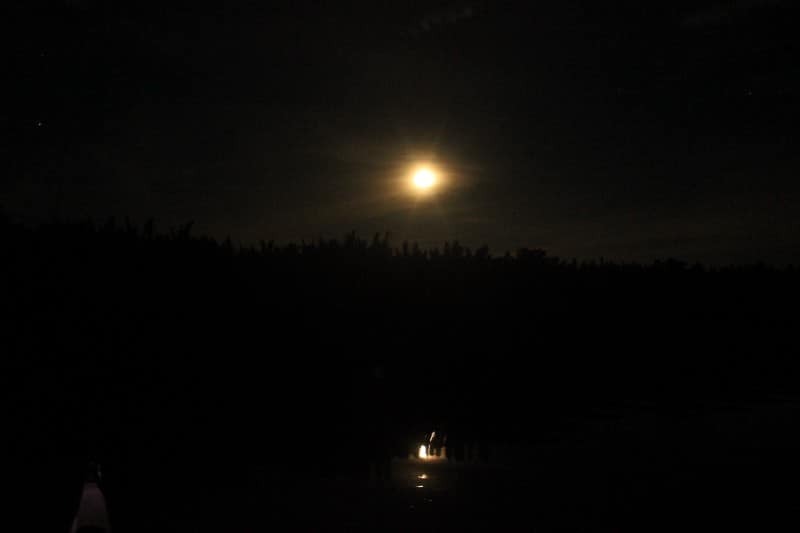 The sounds of birds and night creatures accompanied our night, we wondered where the birds are because we hear it very close but no birds actually showed. We did night trekking in the forest, we found the small species of Semar’s Pocket, scorpion, glowing mushroom, and some of weird plants. I wish I could meet wildcat though. We woke up in the morning feeling fresh. The air is so clean. 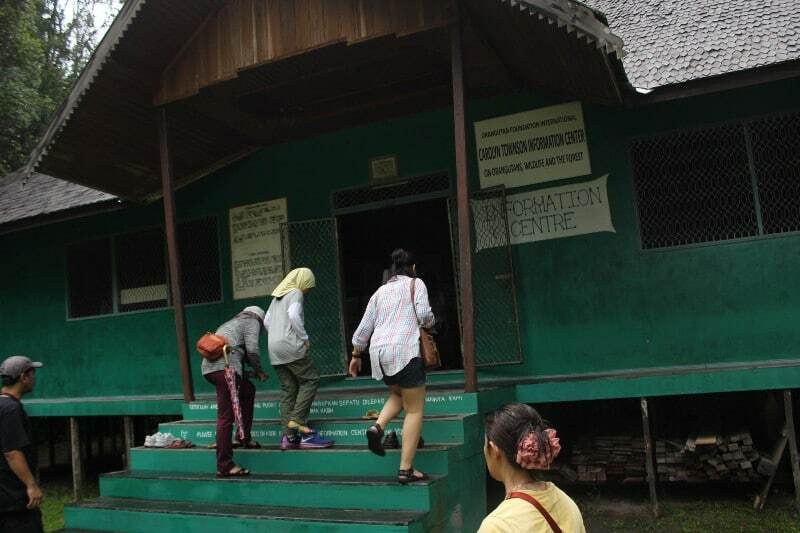 We’re ready to visit second station Pondok Tanggui. It’s called Pondok Tanggui because it used to be a village where the majority of people live there were farmer. They would wear farmer’s hat which was called tanggui in local language. And pondok is hut. Tanjung Harapan used to be a village. It wasn’t until 1977 they were relocated from the area. Orangutans live 35–40 years in wild life and up to 60 years in captivity. The female can be pregnant once in 8 years. The young orangutans cling to their mother for 6 years until they’re ready to survive by their own. It’s typical tropical rainforest, the humidity is quite high. So you will feel hot and sweaty when you trek to the forest. Even you just stand and do nothing, you will get sweaty. So it’s better to wear sweat resistant clothes. And the mosquitos are crazy, I got bitten all over my hands and legs. I forgot to bring anti-mosquito lotion, so it’s essential thing to bring when you come here. 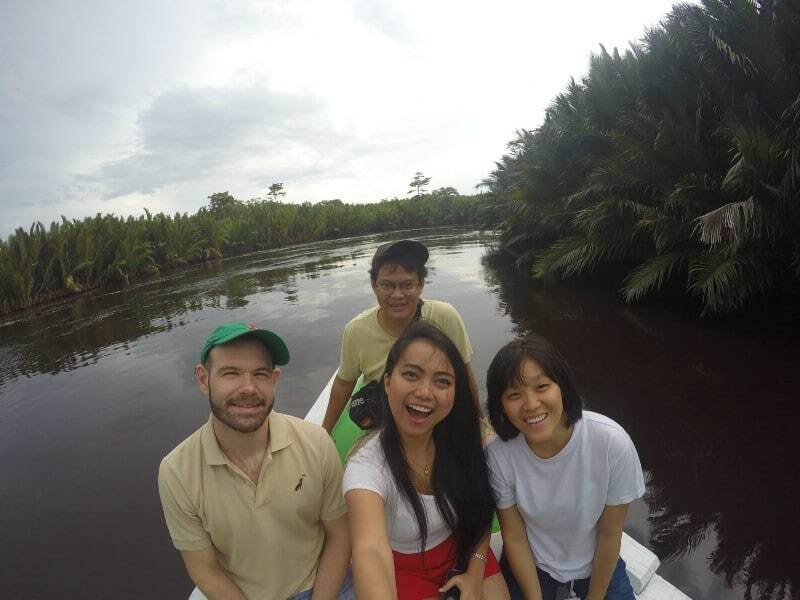 We got in the boat and move to last station we visit, Camp Leakey, where the iconic Tom lives. As we sail further closer to Camp Leakey, the water turn black like black oil. It’s actually cleaner the brown, because it’s filtered by roots of dead plants and the area is far from pollution. This is the best scenery that you will see in Tanjung Puting. Black water reflects trees on the riverside, it almost looks like a mirror when the sky is clear. We finally arrived at Camp Leakey. A group of wild boar welcomed us. There is information centre in Camp Leakey. 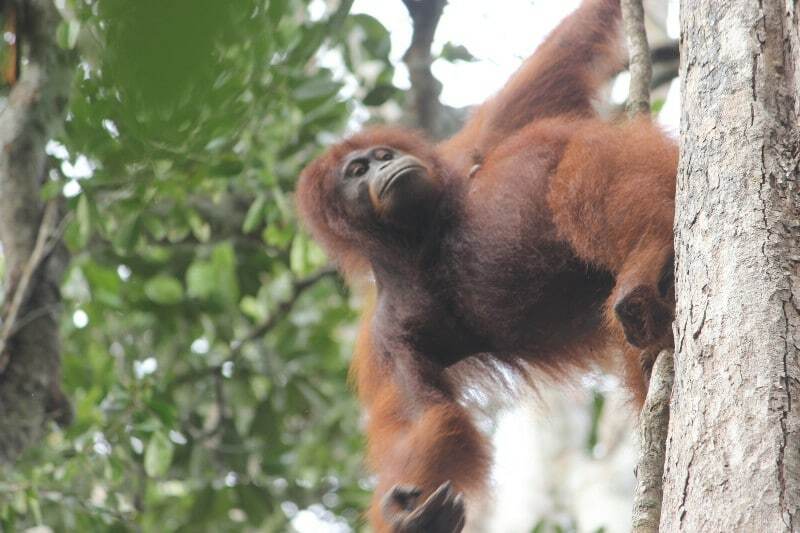 You can find all of information about Orangutans here, even the database of Orangutans with their photos and names. I think it’s the most complete information centre in Tanjung Puting. It’s so unfortunate because I didn’t get to see Tom, the dominant male in Camp Leakey. They said he doesn’t come often, maybe he found a better place to live, we don’t know. But I actually got to see Tutut, mother of Tom. And Camp Leakey’s receptionist Siswi ! Ha! She’s famous for being savage, steal people foods and eat it. The whole journey is definitely unforgettable for me. Having to see the life of Orangutans in their nature habitat has taught me a lot of things. We human don’t live on the earth just by ourselves. There are other creatures who also deserve a place to live, and we greedy people would never understand until we look how miserable their lives are. You look Orangutans babies in the eye, and they seem like they beg you for a place to live. If you’re going alone and on budget I advise you to join open trip because the cost of renting Klotok would be super expen$$$ive, unless you go in group of 10 people. 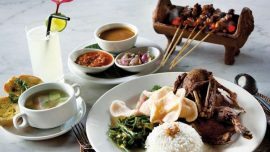 Usually a tour package includes breakfast, lunch, and dinner (If you start your trip in the afternoon, you don’t get breakfast). They serve snacks also, fruits, and juice !. There is nothing to buy in Tanjung Puting, so don’t bring too much cash. Pangkalan Bun is the nearest city that has airport. You can fly there with Trigana Air or Kalstar from Jakarta, Semarang, and Surabaya. If you want to take a shower, you better take a shower when you enter the Black River because the water is cleaner there. And yes the water for the toilets come from the river :D.
Bring powerbank! The electricity on the boat will never beenough for your gadget ! Last but not least here’s a video of our journey.